2018 has kicked off with work on a number of different shows. These included deputies on the UK tour of “Strictly Come Dancing” dancer Brendan Cole, more deputies on “Motown – the Musical” and the Frankie Valli show “Big Girls Don’t Cry”. There was also a return to the London City Big Band’s long running residency at The Spice of Life in Soho. The band have been playing the last Wednesday of every month for the past 8 years and have built up a strong following playing some of the least well known but most swinging charts of the idiom. 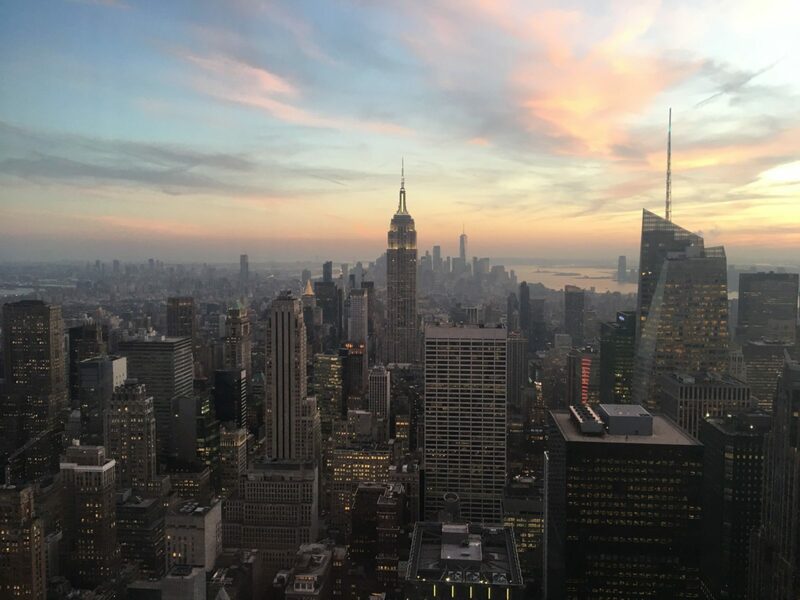 In February Patrick flew to New York with his Fianceé Laura for a week where they visited some of the most famous sights and sampled some of the largest dishes on offer! They also went to see the world famous “Vanguard Big Band” at the Village Vanguard Jazz Club which was an amazing experience. Whilst they were there, Patrick caught up with his old University of Miami friend Augie Haas who plays trumpet in the hit Broadway musical “Aladdin”. On their return, Patrick was straight back to work with Acoustik Duo producing more tracks for their promotional material in his studio. There was a real mix of tracks from the Spice Girls to Ed Sheeran. This was an enjoyable challenge adapting the original versions for the small lineup and experimenting with differences to the arrangement and form. Patrick started a new working relationship with the number one Elvis impersonator, Ben Portsmouth. In 2012 Ben won the “Ultimate Elvis Tribute Artist Contest” in Memphis, Tennessee and has since toured the world with his show “Taking Care Of Elvis”. Patrick took part in some of his UK tour in February and did an extensive tour of Ireland in March/April visiting some of the most beautiful parts of the country. He also had his birthday in Wexford and had a meal at the most fantastic fish restaurant “La Cote”. Definitely worth a visit! In March Patrick went to see one of his favourite artists, Michael McDonald. He took his family to Symphony Hall in Birmingham where he performed his biggest hits as well as some new tracks with his brilliant band. Later in the month, Patrick continued his work with Omar Kamal and his London Big Band as they performed as the opening act for the Abu Dhabi Festival. In April Patrick took part in a huge new project with his old partner in crime Timo Peach. The work started with horn recording sessions with the Triple H Horns in the studio recording parts for the album/film/show/spectacular “The Shape of Things To Hum”. The soundtrack is a classic mix of Timo’s trademark Electro Funk identity as well as some cinematic orchestral moments. 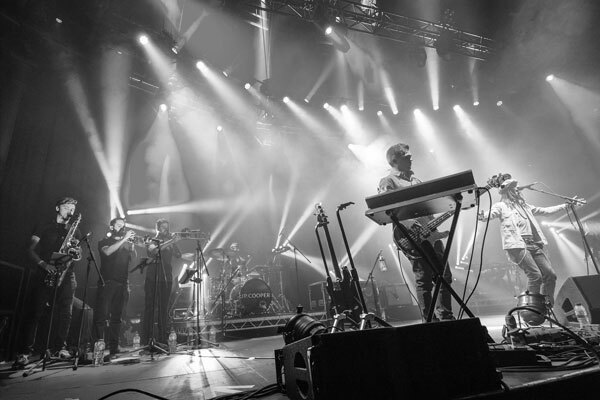 At the end of the month the horns joined the band for the album launch in Bournemouth to critical acclaim. There is much more to come from this project of Timo’s so watch this space! The month ended positively as Patrick was asked to be the Associate for the brand new hit musical “Tina – the Tina Turner Musical”. The show has been getting rave revues and is the new big night out in town. 2017 has been a really interesting year with a varied year of exciting and challenging work as well as some more wonderful memories. The end of 2017 has been a interesting mix of performing, recording, travelling and exciting personal news! September began on a high as Patrick got engaged to his long term girlfriend Laura in Sri Lanka! They both had the most amazing time on holiday exploring this wonderful country with all it has to offer and are over the moon to be engaged. September was a rather groovy month musically as Patrick performed on keyboards with Howie Casey’s “Beatles with Wings”, played trombone with a “Crusaders” style band “Spiral” on trombone and had another performance with Hamish Stuart’s band at the 606 club in Chelsea. In October Patrick started a new horn section and recording project with trumpeter Nick Mead and Saxophonist Jacob Shaw. The Triple H Horns were initiated with a performance in the Radio 1 Live Lounge and also playing for the album launch of JP Cooper’s new album at the Roundhouse in Camden. We all had a really enjoyable time playing and rehearsing together and decided to carry on the section. As well as playing live we have put together a series of social media videos of us playing our own horn arrangements over some of the biggest new tracks. All these new videos have been recorded and mixed by Patrick in his studio. As well as these recordings Patrick was busy recording others including Acoustik Duo who came round to record new promotional material for the Christmas period. He also did some arranging for the group and mixed and produced the session in his studio. Other highlights in November included performing with Heather Small and the Dover Street Big Band, recording and filming a new video with Omar Kamal at Angel Studios, recording at Abbey Road for a “Trip Advisor” advert and performing with the Bournemouth Symphony Orchestra Brass quintet as part of the ceremonies for the Open University graduation ceremonies. 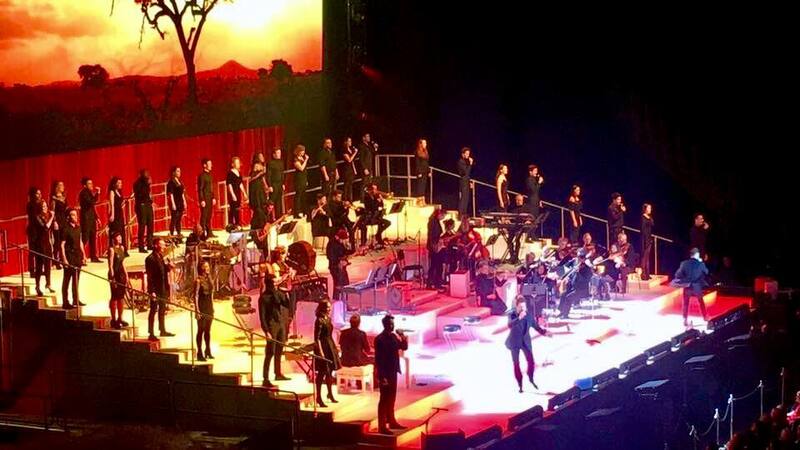 At the end of November Patrick was asked to play in the orchestra for Michael Ball and Alfie Boe’s UK arena tour for their number one album “Together Again”. Patrick had a brilliant time touring with the charismatic duo and performing in some of the UK’s largest performance spaces with the tour ending at the O2 arena in London. 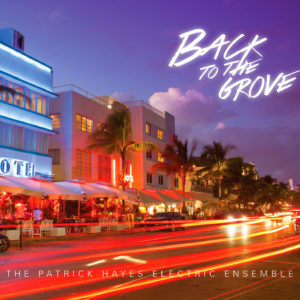 The year ended with a bang as Patrick played two sold out shows at the 606 club as part of their Christmas lineup with the Hamish Stuart band and he also performed in the world famous La Mamounia hotel in Marrakesh for their New Years Eve celebrations with the Brooklyn Shakers band. Alongside the usual weddings, functions and show deputies this summer has been varied with a good variety of arranging work, jazz performances, additions to the studio and some work outside the UK. May began with some horn section recording work for a new project run by saxophonist and producer Rob Sell as well as recording on a new single for 90s band the Lighthouse Family. In the middle of the month, Patrick was invited to perform as part of the Southampton Youth Jazz Orchestra Legacy Band with special guest Jason Rebello. This was great fun as the band were playing exclusively music from the 1970s Headhunters repertoire specifically arranged for this ensemble. At the end of the month Patrick was asked to perform alongside mega Irish Country music star Nathan Carter at the London Palladium to a sold out crowd. 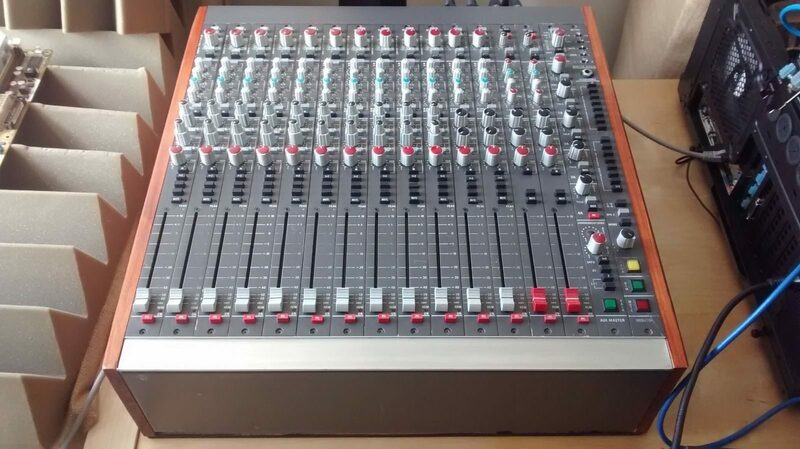 In June there was a new addition to the studio – a vintage 1980s Amek BCII ex BBC broadcasting mixing console. This was very exciting and has been put to good use on many new projects in the studio already. At the end of June, Patrick was invited to perform alongside the very talented Palestinian singer Omar Kamal (described as the crooner to the Arab world!) at the Beiteddine Arts Festival in Lebanon. Patrick was part of his London based Big Band and were playing alongside the Lebanese Symphony Orchestra to a crowd of 3000 in the Presidents summer Presidential Palace in the mountains. This was an amazing experience and one that won’t be forgotten. A couple of weeks later Patrick was requested to perform with the “Gold Diggers” at a private event just along the French coast from St Tropez. Over the month of July, Patrick was busy arranging a pad for the brand new band “Press For Champagne”. This new band performs in a vintage style similar to the hit band “Post Modern Jukebox”. Patrick was busy transcribing some already known material as well as creating some custom made charts. At the beginning of August Patrick was able to meet up with his old University of Miami alumni friend Michael Piolet who was over from the States playing with Leon Foster Thomas on his European tour. It was great to catch up after the best part of six years! For the second consecutive year, Patrick was invited back to Silda Jazz in Haugesund, Norway with the great band “The Brasshoppers”. This was another really fun week away as always and concluded with us performing alongside another fantastic American band called the “The Huntertones”. An amazing 6 piece originals band based in Brooklyn, New York. Check them out! 2017 started off with a few days away with Patrick’s girlfriend in Cork, Ireland where they did some exploring and sightseeing. They also managed to find the most fantastic vegetarian restaurant called “Cafe Pardiso” – Wow! Definitely worth a visit. 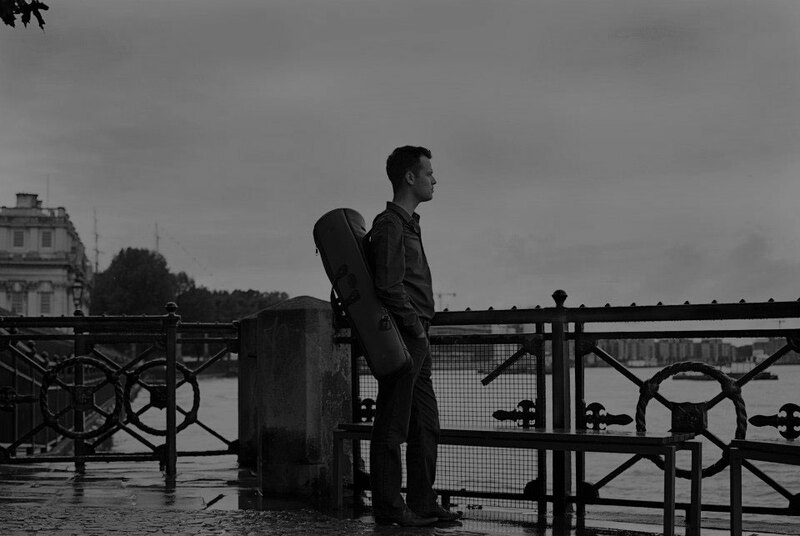 There were a few performances with the London Dance Orchestra for private events in January. This band specialises in dance music of the 1920s-1930s and is great fun to play. Towards the end of January Patrick recorded some horn section tracks at his studio for his good friend Timo Peach of Momotempo for an exciting new project taking place in October – watch this space! February was a busy month of recording for Patrick and started with a new writing collaboration with producer/guitarist Charlie Morton and drummer James Nall. 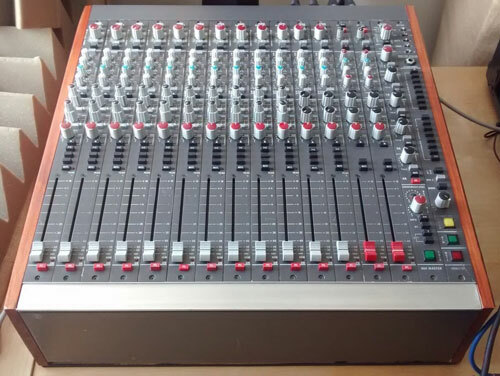 Some of the work was recorded at Patrick’s studio however the majority was done at a studio in Bromley, Essex all through a vintage Amek Angela mixing desk – what a beautiful sound desk! It has definitely turned Patrick over onto the analogue side of things and he will definitely be looking for one of his own in the near future. 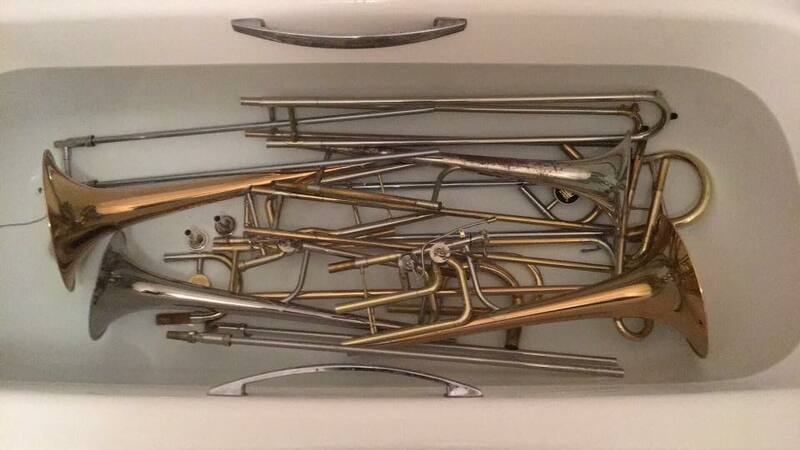 Other recording Patrick did from his own studio included some horns for a new television programme for Sky and the trombone section for a big band recording in America. There was also some education work for Hampshire music service in February. Patrick was invited down to Horndean Technical College as part of the London City Big Band where they ran some workshops for students. These were focusing on aspects of playing in a big band and some improvisation and culminated in a concert with both the student big bands and the London City Big Band. One of the highlights of this year so far was in March where Patrick was invited to play as part of legendary Jazz guitarist Jim Mullen’s benefit concert at London’s 606 Club. This was a fantastic evening with many amazing musicians performing including Stan Sulzmann, Henry Lowther, Noel McCalla (Morrissey Mullen), Tony O’Malley (Kokomo), Claire Martin and Hamish Stuart. Patrick was a member of the Hamish Stuart band featuring Molly Duncan and performed to a sold out audience. It was a very memorable night for a great cause with all proceeds going towards Jim in his rehabilitation. Thankfully Jim is on the mend and everybody hopes to see and hear him soon. Patrick also performed for a few performances of “Strictly Come Dancing” dancer Brendan Cole’s UK touring show “All Night Long”. This was a great high energy show showcasing Brendan and his dancers backed by a terrific 14 piece band. Another memorable performance that Patrick took part in April was for the final episode of “The Voice – UK”. Patrick was performing live alongside the legendary Sir Tom Jones and his finalists “Into The Ark”. This was brilliant to work alongside a living legend who is still blowing everyone away at the age of 76! 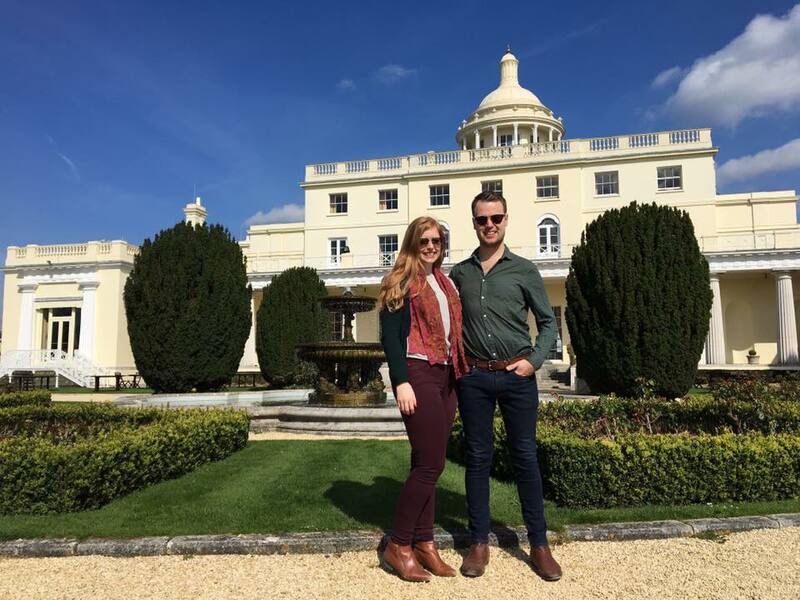 Lastly, in April Patrick celebrated his birthday and was taken away by his girlfriend to the beautiful Stoke Park country club, spa and hotel where he was spoilt rotten for two days! Alongside this work Patrick has had a mix of performing for private events, Motown the musical as well as recording and arranging for other artists. This has been a great start to 2017 for Patrick and he looks forward to see what the rest of the year has in store. It's a little bit late but I've had a great time playing with the gentleman of the 360 band for the last couple of weeks. Been a lot of fun and I hope its not too long until the next outing!Thanks Matt Jenkins for the video and hangs! 2016 has been a great year with an extremely varied year of work and some great memories. Glenn Miller UK – Performing at Jazz Caldas Nice, Portugal. This December has been particularly busy for Patrick with a good mix of recording, arranging and performing. Some of the recordings that he has been involved with were a horn section track for Island Records artist Elli Ingram, an album for Matt Munro Jr (the son of the legendary British crooner), horn section tracks for the upcoming album from Tom Adamson and some more low brass recording for composer Michael McEvoy. Performing work this month has been equally varied. He started the month with a performance with the Joe Stilgoe big band and special guest Curtis Stigers. This was followed on with two performances for Tottenham Football Club at Wembley stadium and some more deputy work on Motown the Musical as well as performing at the many festive parties at this time of year. November has been a mixed month of arranging, recording and education for Patrick. Patrick has been doing numerous arrangements for the Bournemouth University Big Band as they were performing for their graduation ceremonies at the Bournemouth International Centre for the first week of the November. 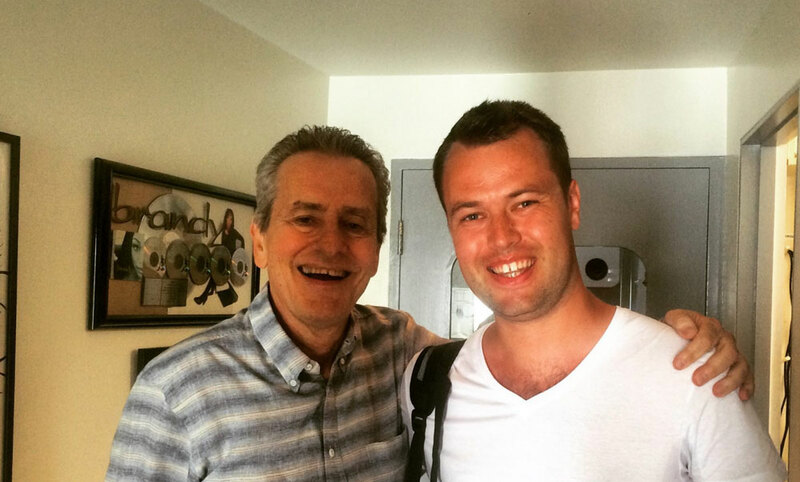 Patrick also did some recording at his home studio for the upcoming album from composer and keyboardist Michael McEvoy. The album features some of the top musicians in the UK and has an expected release date in 2017. 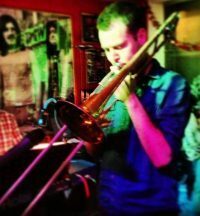 Patrick also started teaching for Brunel University on their music course as a trombone and composition tutor. This has been very interesting for him working at a higher level academically and he looks forward to continuing this in the future. At the end of September leading into October, Patrick had a short UK tour with the band “360”. This new band features three of the original members of the legendary funk group “Average White Band”. They are lead singer and guitarist Hamish Stuart, tenor saxophonist Malcolm “Molly” Duncan and drummer Steve Ferrone. It was a fantastic experience for Patrick being the trombonist and horn arranger as well as spending time with the guys talking about amazing old stories! He is eagerly awaiting the next tour later in 2017. 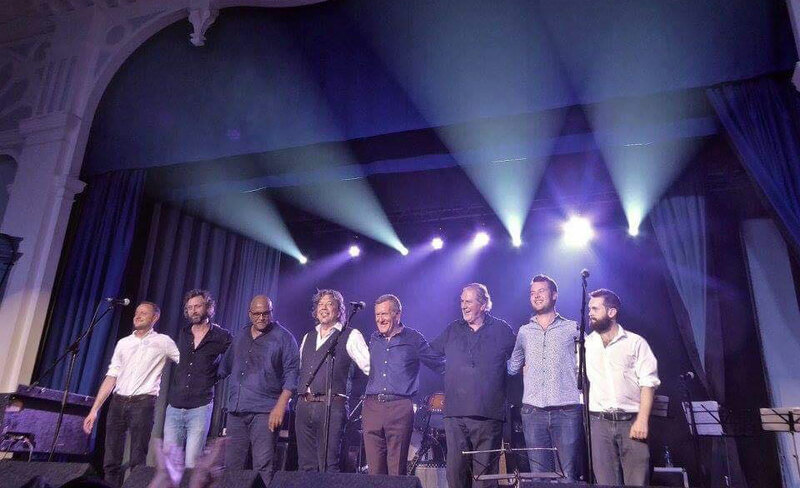 Other performing work included playing with Ronan Keating and the Dover Street Big Band, Glenn Miller UK at the Jazz Caldas Nice festival in Portugal and a workshop in London with the unique Matthew Herbert Big Band. September has been a quieter month work wise due to Patrick being on holiday with his partner in the United States. However they had a fantastic time and managed to fit in some musical activities too! Their trip started in San Diego where they spent three days exploring Balboa Park, San Diego Zoo and the harbour before driving along the Pacific Coast Highway to Los Angeles. There they both visited Universal Studios, Santa Monica, the Griffith Park Observatory and lots more. Whilst they were there Patrick was in contact with legendary arranger and trumpeter Jerry Hey (Michael Jackson, Earth Wind and Fire, Seawind, lots more!) and was fortunate to sit in on a recording session he was running. This was an amazing experience not only to spend time with Jerry but also to hear an incredible horn section at work (Gary Grant, Rashawn Ross, Andy Martin and Dan Higgins). Also Patrick managed to organise a lesson with top trombonist, bass trombonist and arranger Bill Reichenbach. It was fantastic to spend time talking with him about the large variety of work he has done from working with Jerry on numerous pop sessions to working on Hollywood blockbuster films as well as his composition work. After Los Angeles they drove across the Nevada desert to Las Vegas where they explored the hotels, saw a Cirque de Soleil show (with a fantastic band!) and took a helicopter ride through the nearby Grand Canyon. Lastly they flew to Miami where they had originally met studying at the University of Miami in 2010. Whilst there they relaxed on South Beach as well as revisited the University campus. Patrick also caught up with some tutors that he had studied with and managed to fit in a concert by two of the bands he had played in. It was a fantastic experience to relive a lot of good memories as well as finding some time to relax! Copyright 2019 © Patrick Hayes.